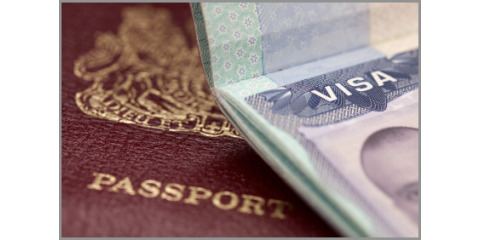 As of November of 2015, the United States Citizenship and Immigration Service (USCIS) began posting available visas on the Department of State Visa Bulletin when it's determined that there are more visas available than known applicants. As Berd & Klauss, PLLC, New York immigration lawyers, report, when visas are available, applicants may use the Dates for Filing Visa Applications chart, which shows the final deadlines for individuals to file applications to have their immigration status updated. The Department of State publishes the Visa Bulletin on a monthly basis, with the relevant chart featured on the USCIS website within a week of its release. These limited visas will be made available to immigrants based on their individual priority date, which is usually the date the applicant's employer or relatives on their behalf filed the petition. However, if your application requires a labor certification, that will be considered the priority date. If the USCIS determines that a visa in the category you've applied for is available, you'll be able to complete the final steps of the process of becoming a permanent U.S. resident. This will greatly streamline the process while ensuring that every eligible applicant has a chance at the visa to which they're applying. Berd & Klauss, PLLC is an immigration law firm with a proven track record of success, helping immigrants from all over the world navigate the complexities of the American legal system. Visit their website to learn more, or simply call (212) 461-7152 to schedule a consultation with an immigration lawyer today.